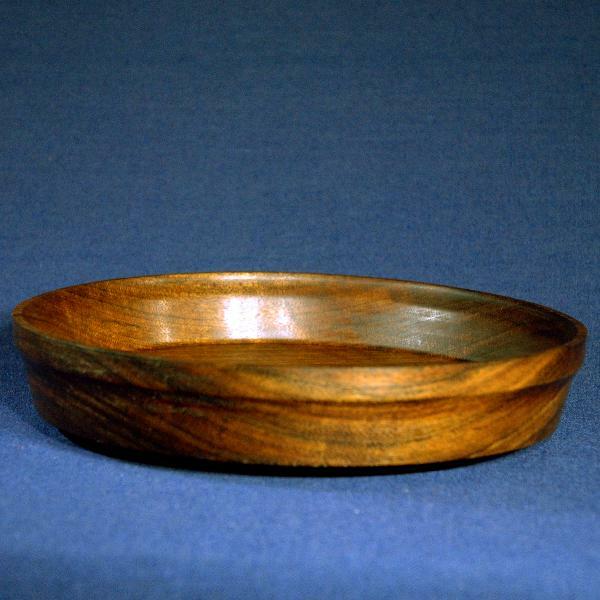 An original handmade tray made of rare African Ovangkol wood which has high density and durability. The rich dark chocolate color and the exquisite pattern of the wood make this tray a unique interior decoration. Can be either used as a tray or an elegant fruit plate. Makes a beautiful gift.